Red peppercorns & unripe banana! I decided to try this one on a side-by-side “neat and iced” tasting. Quite a contrasting difference – perhaps I’ll taste this way in future. When it won the award, I asked my brother in Vancouver to pick up a few bottles for me, as we were meeting down in New Zealand over Christmas 2016. Needless to say he ran about town in a frenzy and finally found only one bottle for me, but didn’t tell me until I opened it on Christmas Day, perhaps now there’s more in supply? Nose: Neat: strong hit of alcohol at first overpowering the aromas and nearly burnt my nose hairs. Iced: diluted on (one large ball) of ice – definitely get steamed pears and some caramel…but then when I smelt it neat again, I got lovely light wood, nose hairs intact this time. Palate: Neat: wow, spicy. Piercing my tongue on the sides with alcohol burn. Lots of oak comes through but nice and gentle. Iced: I think I prefer it on ice - medium bodied, some light nutmeg, pepper is all over it but pleasant, it’s good. I will try it next time with a few drops of water only. Finish: Neat: long finish with strong pepper, but not black pepper, more like red crushed peppercorns and also somewhat salty. Iced: less pepper, more fruit but hard to pinpoint exactly, maybe traces of almost ripe banana? It fades slowly. I’m actually liking it on ice, it’s easy drinking and a great price too, but I hope the alcohol burn earlier hasn’t killed my taste buds. I’m no RYE expert, and probably need to get a few more in my cabinet. Jim Murray, whose 2016 edition of the Whisky Bible awarded CRNHR release a massive 97.5 points and the title of “World Whisky of the Year” – well you already knew that. I think I’ll pour another to see if I concur, still undecided but don’t think it will convince me in a hurry. 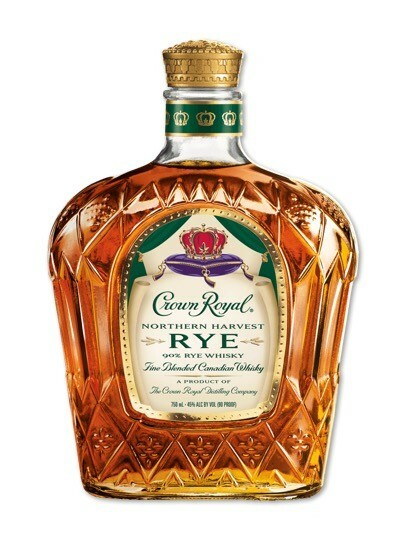 Crown Royal Northern Harvest Rye Best in the world? You must have gotten the only other bottle with the same juice as Murray tasted. I'm not shy about my lack of enthusiasm for this whisky. A sample was too much for me and a bottle that was gifted to me was donated to a charity fundraiser. If you ever need more we have tankerfuls (well, thousands of bottles anyway) in Ontario. I guess that since I've discovered my inner Canadian I should probably taste it again but no way I'll take a chance on using up that much space in my cupboard by buying a whole bottle. Maybe if I find a 50 cc bottle somewhere... it's listed in Alberta but no stores showing. @Nozinan there's no "haha" button but yeah, I tried to give it my best efforts... it certainly got the award for some other reason. @murrayaitken Still, a 90 is a pretty high mark. I have to admit my bias in that I gave it a 79. I still don't know what JM was thinking. I never really paid much attention to him until this fiasco, after which I made sure to NOT use his scores as a guide because his palate and mine clearly do not match. @Nozinan, unless you are drinking from the same bottle as is Jim Murray, you really are not tasting the same whisky. 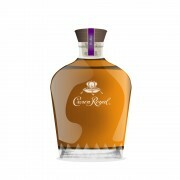 Crown Royal Northern Harvest Rye is not alone in being a large distribution whisky with a large variation in batches. Very close to the Crown Royal home I have seen giant differences in batches of both Crown Royal Reserve and of standard Crown Royal. I had just about made up my mind in perpetuity that standard Crown Royal was ho-hum and bland when I purchased several very zippy delicious minis of same. What that told me, once again, was that the label may be the same, but that does not mean that the whisky inside the labeled bottle is the same as what you tasted before. I think that Mr. Murray was well-intentioned but naive to name as World Whisky of the Year a large mass-market product likely to have significant batch variations. I will not speak ill of the whisky Jim Murray actually tasted, because I have not tasted it for myself. The bottle and batch of it by the same name which I reviewed left much to be desired. @Nozinan maybe I was a bit generous giving it a 90, it could be the alcohol burn that clouded me... I'm on my 3rd glass now, this time only added about 50ml cold mineral water, I wouldn't change my review but yeah, maybe it could lose a few points, still give it 85+ though but honestly, like I said, I'm no RYE expert or fan, yet. @Victor I agree. But we can only go by what we taste. And I can think of many whiskies I tasted, released that year, that were many times better. @murrayaitken My experience with CRNH is similar to your experience. I like it and find it very good in it style. This is not my favorite style, even among rye, but it is well crafted. If I remember it correctly, it deserved an 85-90 mark. I like big whisky but IMHO, I will go for something a little bit lighter than what would get the favor of @Victor and @Nozinan. Ralfy summed up the high points and the low points of Canadian whisky today as part of his review of Alberta Premium 30 year old. @BlueNote Will be sure to read his summary. @Robert99 Yeah very same opinion, It's not my favourite style either, but IMHO as well, it is good, certainly not over 90 but as i said maybe i was being more generous, if i were to revise the numbers it may still be an 86-88. I'm more into a good mature medium bodied speyside / highlands in general. Certainly love islay when my mood is right but need to learn more about Canadian and other Rye's. I've tried some Indian but need to find the gems, and I'm all for expanding into more Taiwanese and Japanese... staying away from Chinese and Thai for now... yikes! I find your notes interesting. It gives credence to what @Victor and others have often said about batch variation. My last bottle of CRNH was pretty good, though the notes I got were completely different. I got lots of cloves, nutmeg, rye spice, oak and oranges. Not surprising. I believe I scored mine 83 points. But if you read my review, I noted that in the 3 or 4 bottles I tried, there were significant differences. Ultimately, I like this whisky. It's pleasant, it's not expensive, it's readily available and many people have heard that it's "best in the world" so they're impressed when you serve it to them. @murrayaitken I hope the price for Japanese Whisky is fair where you are because they are worthy of your attention. Here in Canada, except for some Nikka, few are available and all are overpriced. I love the Yoichi 10 yo as a gentle peaty whisky with big flavors, they don't do it anymore, at least that what I heard, so grab it if you can find it at a reasonable price. @Robert99 pretty much same prices, Japan is not a cheap country in any ways or means, so their Whisky is also not cheap even in Japan. Hibiki (all of them) are good buys, I love the Yamazaki's though. As I'm sure you know, Beam Suntory are so massive with loads of brands and a ten's of billions dollar listed company, world market share is around 3%. [FORBES] "Beginning with humble origins in 1899, when Shinjiro Torii began to produce and sell wine in Japan, his company then built the Yamazaki distillery in 1924 and has since grown into one of the world’s largest drinks companies. Renamed as Suntory in 1963, its empire was further expanded when it bought Jim Beam in 2014. It produces a lot of whisk(e)y around the world. Its range of global production includes Japanese (Hakushu, Yamazaki), Canadian (Canadian Club), Ireland (Kilbeggan), and American (Jim Beam, Knob Creek, Maker’s Mark) whiskies. It also produces Scotch, with a portfolio consisting of Islay malts Bowmore and Laphroaig, as well as the distilleries of Ardmore, Glen Garioch, and Auchentoshan, and of course its blended Scotch brand Teacher’s." Ok a little history for us all... I need to find a bottle of Yamazaki Single Malt Sherry Cask 2013... I've only sampled a small taster of it. Just 18,000 bottles were made. @murrayaitken Murray's "World's Best" for this year is Colonel E.H. Taylor's Four Grain Bourbon. I don't know it as I've never had it, but @Victor is our resident bourbon expert, so perhaps he'll weigh in, if he hasn't done so in another thread. Ultimately, these awards are meaningless for several reasons. You aren't tasting the same whisky as someone else unless it is from the same bottle at the same moment in time. The climate/environment in which you're tasting a whisky will differ from pretty much everyone else. and plenty of other reasons. These awards may be interesting, frustrating, puzzling, but ultimately, what YOU like is the only important consideration. @OdysseusUnbound thanks for the heads up, I thought it was only announced in November... ok well let's wait and see if we like it, I also don't know it. TOTALLY agree with you on the "world's best" but it makes for some great critique amongst us on Connosr. @OdysseusUnbound I guess this is the better way the describe Murray's choice... "Jim Murray reveals his favourite whiskies in the world" instead of The World's Best according to him...? @murrayaitken you're right. When it is subjective, it should be "favourite", not best. Unlike objective, as in my wife makes the best salad rolls... and my mother makes the best apple pie. @Nozinan Objectively speaking, my wife makes the best cupcakes. Nobody likes cupcakes more than I do. And believe me, I know cupcakes. The best cupcakes. YUGE cupcakes. @OdysseusUnbound For me, I don't need an encyclopedia or Google, my wife knows everything (and better) and that's a fact. I always like when people try to convince me of their objectivity by adding the "That's a fact" to something that is obviously not, don't you? about one year ago 5Who liked this? @OdysseusUnbound I actually find it annoying when people provide indisputable facts (like global warming or what time it is) and someone respond with "That's YOUR opinion".